A former Secretary to the Government of the Federation, Pius Anyim, has been arrested by the Economic and Financial Crimes Commission (EFCC) for allegedly collecting N520m from the embattled former National Security Adviser, Col. Sambo Dasuki (retd. ), on the eve of the 2015 presidential election. The anti-graft agency has also accused the former SGF of giving N13bn contracts to companies linked to him. The money was said to be part of the N58bn Ecological Fund he handled while he was the SGF between 2011 and 2015. Anyim, who also served as the Senate President from 2000 to 2003, is the most senior former government official ever to be arrested by the EFCC. 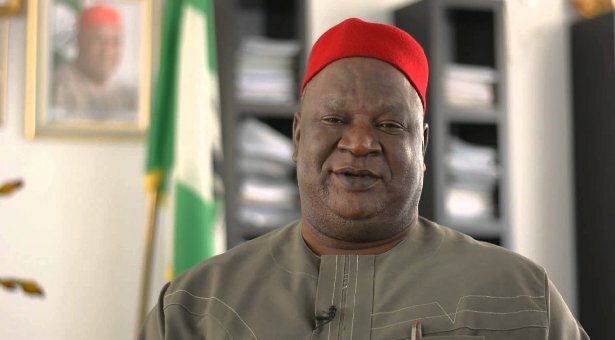 A source told PUNCH that, “Anyim was arrested on Thursday, November 16, by operatives of the anti-graft agency after he failed to honour a 10 am appointment by the agency. The arrest took Anyim by surprise as the EFCC team, armed with a warrant, immediately executed a search on the property during which they recovered documents relevant to the investigation. The companies include: Foundation Years Limited, Precious Integrated, Precious Petroleum, Mak & Mak, Chap Construction, Eldyke Engineering, Pryke Limited, Chipa Nigeria Limited, Prima A11 Limited, Pima International, Chanto Engineering, Ishiagu Microfinance Bank, Mulak Ventures, Vitro Engineering and Tip Top Nigeria.